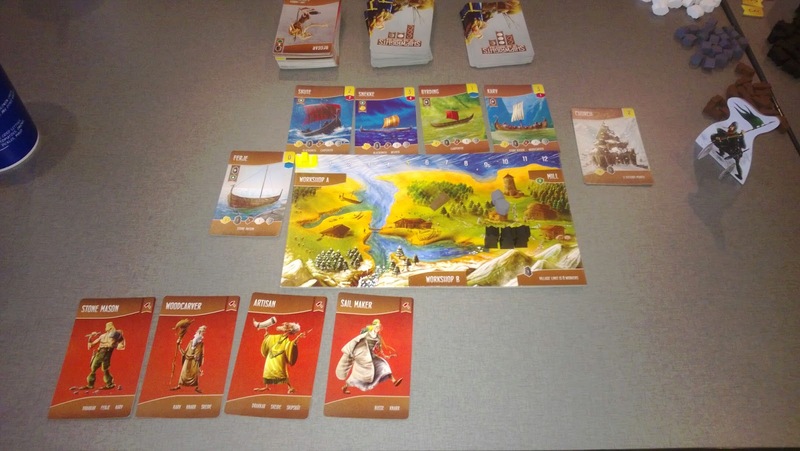 Shipwrights of the North Sea (2014) is a building game that utilizes card drafting and hand management as well as some (forced) trading. It's a well-crafted game with fine components. The artwork is playful and consistently good which helps offset the fact that this game requires players to regularly mess with their opponents plans and setups. 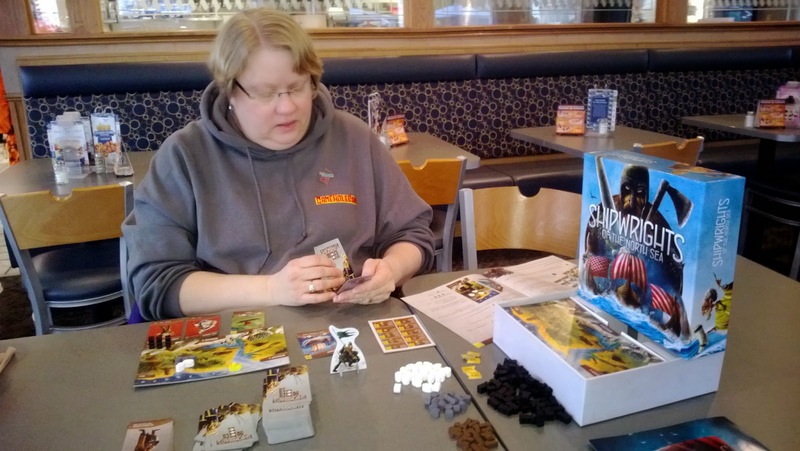 My friend Wendy picked this up and we played a game of it in anticipation of Game Like a Viking Day! 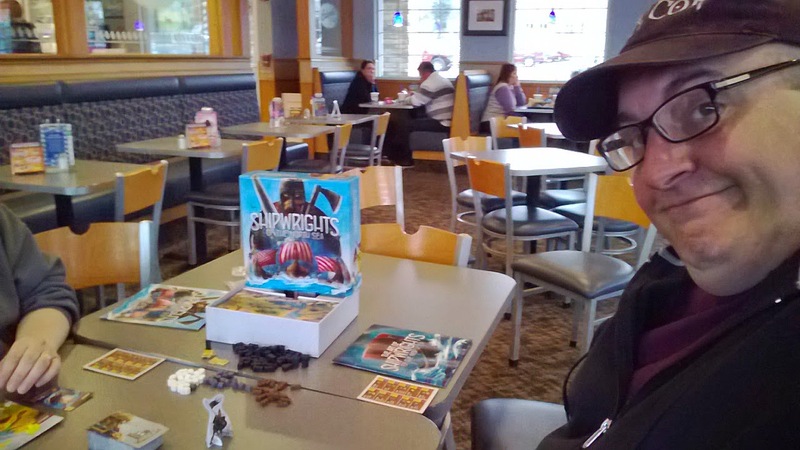 We had a very good time playing this new game for the first go around and played it again at our next local gameday, having fun yet again. The more players involved, I should warn, the more frustrating it can be to reach for the win but I find that to be a good part of the game. Those who do not like games where others are constantly and actively working against you might be less thrilled but can take solace in doing the same to their own opponents.